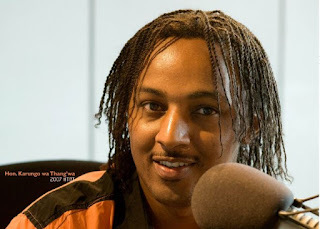 Former radio presenter Karungo wa Thang’wa once chose to keep his dreadlocks over a TV anchor job at a top media house in Kenya. The Kiambu Youth Affairs executive, during an interview with a local tabloid, said he had passed auditions to present news but was told he had to cut his dreadlocks. 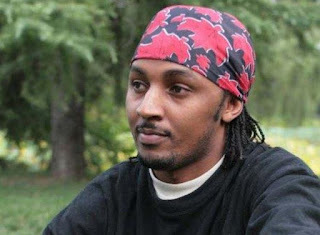 According to Karungo, he was only 25 years and enjoying his youth after coming from China, where he worked as a lecturer. “Although I had a job on radio, I wanted to look for greener pastures. That is why I went for a TV interview. After the conditions they gave me, I asked myself if I cut the hair, will I look photogenic? I had to forego the job and keep my hair,” he recalled. He said that he kept the dreadlocks for 10 years before he decided to get rid of them. Referencing the recent case of a student from Kibera who was kicked out of school because of dreadlocks, Karungo wa Thang’wa termed it as discrimination. “Every school has its rules and regulations but nobody should be discriminated against because of their culture or religion. As long as they are tidily made and not affecting other students, then the child has no reason not to be allowed in school,” he stated.